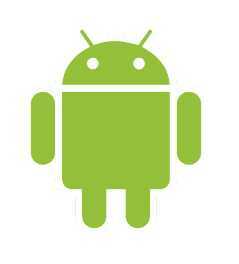 There were lots of rumors that Google is planning to bring the latest Android OS to Android 5.0 version. But later it comes out that Google will follow the last year plan, and will launch the Android 4.3 version at Google I/O 2013. Google has just mistakenly confirmed the Android 4.3 launch through its Google Search. The Google Android Developers’ page has revealed that Google is bringing the Android 4.3 OS to developers at Google I/O 2013. The conference is about to take a place in a few hours, and everyone is gearing up to get more and more insights on Android and Google I/O 2013 launches. Google mistakenly leaked the Android 4.3 launch arrival through its Android Build page which is said to be going live in a few hours at Google I/O 2013. The page meta data in Google Search revealed that Google is bringing the Android OS to Android 4.3 this year. Google is also getting ready to approach the Google I/O 2013 conference center to welcome the developers from around the world. Google I/O 2013 Keynote will be live streamed to users around the world, and will let them be a part of the conference. Furthermore, the Google I/O 2013 Keynote is scheduled to begin 1:00 PM EDT. GeekSays will be bringing the latest updates to you from Google I/O 2013. We have already settled up our news terminal to cover the Google I/O 2013 for our readers. Make sure to follow us on Twitter and Facebook. Kind of embarrassing, unless they’re aiming for tomorrow.